Our last Bi-annual production, our 20th Anniversary Gala, took place at the Town Hall Theatre December 2017, giving all of our students had the wonderful experience of taking part in a professionally staged production. 2017 saw 4 RAD graded exam sessions take place at the CDA studios with students entered for exams from primary to Grade 8. A number of senior students also represented the school in Dublin at the national RAD vocational exam session. 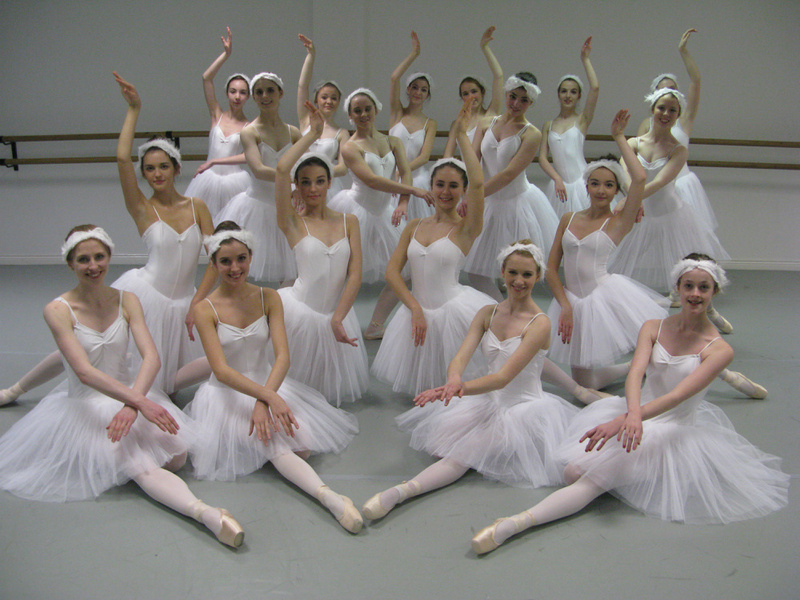 And here's an update on our past pupils who have gone into further training and the dance profession. Stephanie Dufresne: studied at ArtEZ and Codarts in the Netherlands graduating in 2010. She has performed twice with Chrysalis Dance Company and most recently toured the UK with Nuno Silva in A Darker Shade of Fado. Mary Walsh: Mary Walsh graduated from the college of the Royal Academy of Dance in 2012. She is presently teaching Ballet in Hong Cong. Elspeth Mc Keever: Elspeth Mc Keever graduated from the Northern School of Contemporary Dance in July 2014. Rebecca Lee: Rebecca Lee graduated for the Royal Conservatoire of Scotland with a BA in Modern Ballet in July 2014. She is presently in New York. Caitlin Langan:Caitlin Langan studied at the London Studio Centre and is now working in London. Rachel Noonan: Rachel studied at the London Studio Centre and is now pursuing an academic pathway. Gemma Brooke: Gemma Brooke graduated from the Glasgow Academy of Music and Drama in July 2015 and has recently returned to Galway having worked as a dancer in Spain. Jessica Healy:Jessica Healy graduated from Central School of Ballet, London in July 2015 with a BA (Hons.) in Dance. Sorcha Barry: Sorcha Barry, having completed her BA Hons. Degree has recently graduated from the Royal Academy of Dance Certificate in Ballet Teaching Studies (CBTS) course by distance learning under the mentorship of Phyllis Hayes, Principal of Corrib Dance Academy. Aidan Walsh: Aidan Walsh is in his third year studying at Bird College, London and in 2015 was pictured on the cover of the Italian Vogue magazine. Diarmuid Scahill: Diarmuid Scahill (2017)graduated from the prestigious Arts Educational School, London. Brigitte O’Reilly: Brigitte O’Reilly (2017) graduated from Northern Ballet School, Manchester, where she trained on full scholarship. Siomha Mc Garry:Siomha McGarry, having completed her BA Hons. degree is in her third year studying for the Royal Academy of Dance Certificate in Ballet Teaching Studies (CBTS) by distance learning under the mentorship of Phyllis Hayes, Principal of Corrib Dance Academy. Maeve Hannon: Maeve Hannon completed her Leaving Cert in 2016 is now studying full-time at the Royal Academy of Dance, London. Claire Farrell: Claire is currently studying dance at the Inchicore college for further education. Lauren Moran:Lauren Moran completed her Leaving Cert in 2016 is now studying full-time at the College of Dance, Dublin.